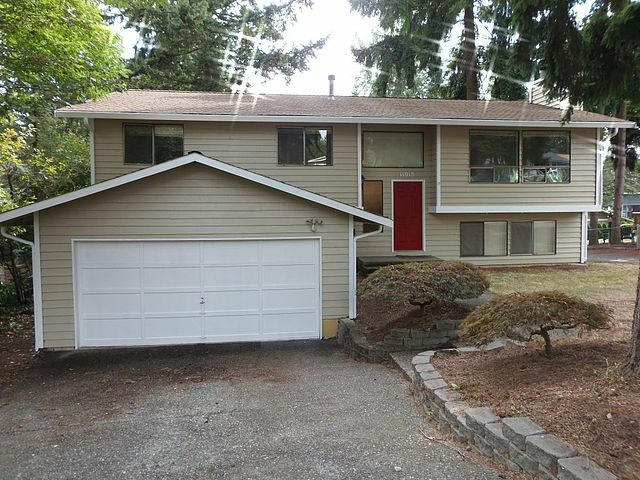 This 5 Bedroom 3 Bath Split Level Home Has Great Potentials! The upper level features 2 large bedrooms, plus a spacious master suite w/ walk in closet & a bathroom. An additional den/5th bedroom is located on the lower level w/ bonus room and a gas fireplace! Large fenced backyard, located on a quiet street. Great Location for this diamond in the rough. 2,470 sq feet, this home seems to go on. Minutes into Juanita Bay or Kirkland waterfront! Easy access to 405.